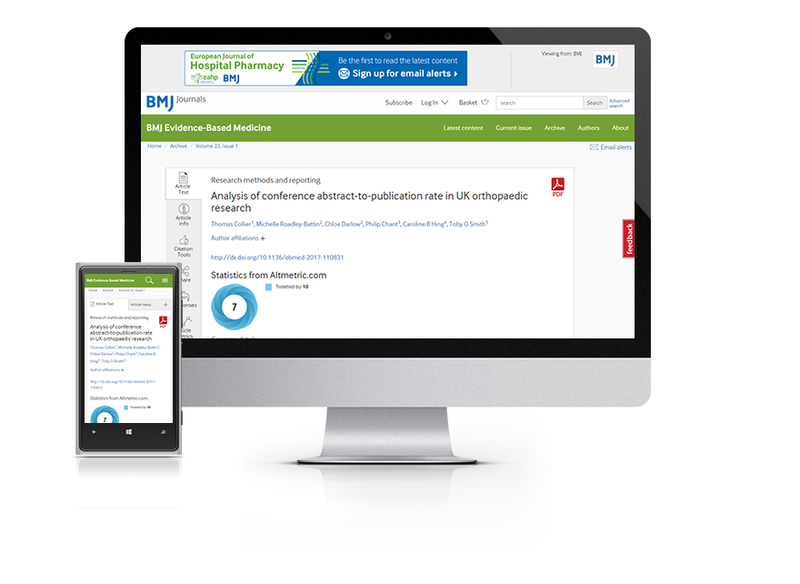 Subscribe today and your institution will enjoy full access to BMJ Evidence-Based Medicine – saving you time and improving your practice. 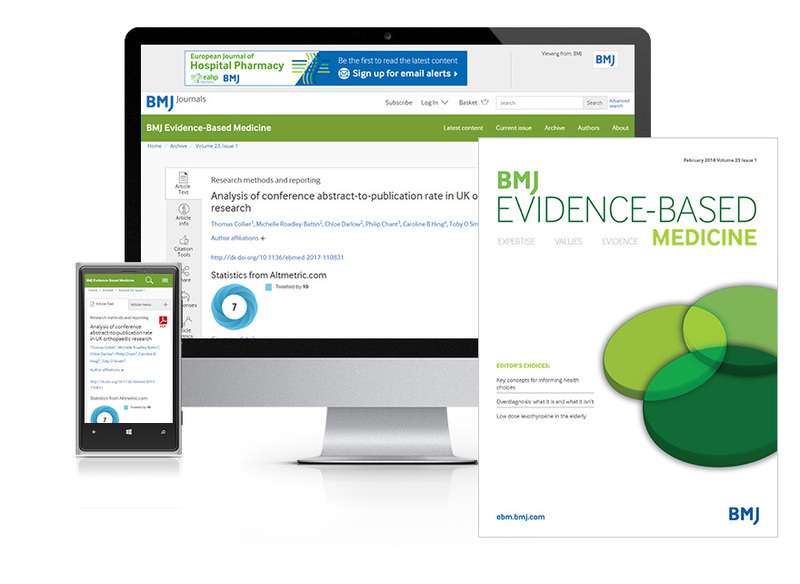 Subscribe as an individual today to get full access to all new and previous content from BMJ Evidence-Based Medicine – saving you time and improving your practice. You can find out more about the BMJ Evidence-Based Medicine here.